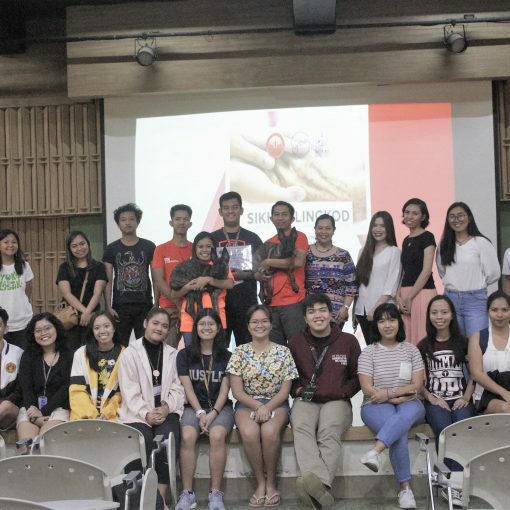 Around 1,161 students of the University of the Philippines Diliman (UPD) who completed the course requirements under the National Service Training Program (NSTP) for the second semester of A.Y. 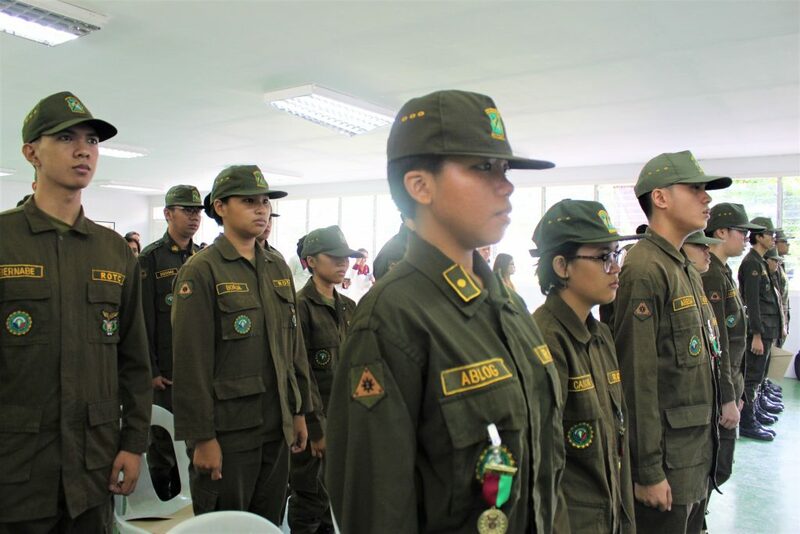 2017-18 received their certificates of recognition: 1,110 CWTS and LTS graduates were inducted as new members of the National Service Reserve Corps (NSRC) of the Philippines while 51 ROTC graduates were inducted as Reservists under the Department of National Defense. Commencement ceremonies were held by different schools and colleges for the graduates of their NSTP classes. The program includes video presentations featuring community engagement by the NSTP classes. Partner organizations who were vital to the implementation of NSTP class projects were also recognized during the program. For example, one NSTP class from the College of Fine Arts produced a kids’ coloring book for the Reception and Study Center for Children (RSCC) under DSWD. 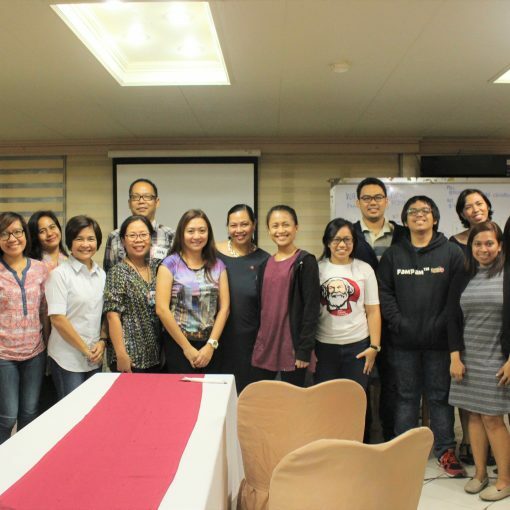 LTS classes from the College of Social Sciences and Philosophy and College of Education partnered with San Vicente Elementary School for literacy projects. On May 17, 2018, the College of Engineering held its commencement ceremony for the 241 graduates of its NSTP program at the Industrial Engineering Auditorium. The program started at 9 am and ended at 12 noon. NSTP College Coordinator Raymond Freth Lagria gave the opening remarks while College of Engineering Dean Dr. Rizalinda De Leon attended the ceremony and gave an inspirational speech to the new NSTP graduates. NSTP Diliman Director Arlyn P. Macapinlac assisted in the awarding of certificates and delivered the closing remarks. Around 148 students participated in the College of Science’s NSTP graduation ceremony at the Institute of Biology Auditorium. 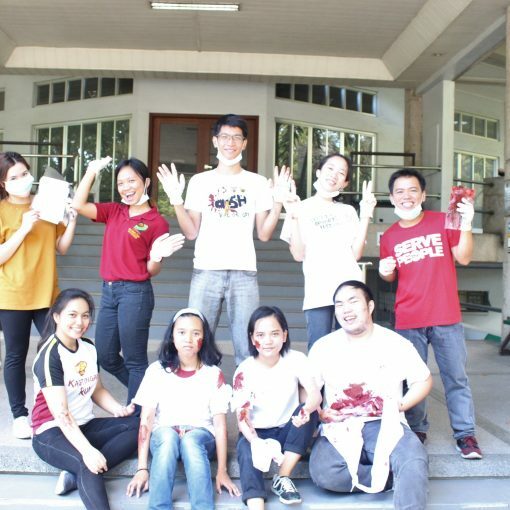 Held from 1 pm to 4 pm, the ceremony was organized by NSTP College Coordinator Jordan Ferdin Halili. In his keynote speech, Professor Gani Tapang of Agham (Samahan ng Nagtataguyod ng Agham at Teknolohiya Para sa Sambayanan) encouraged NSTP graduates to use science in serving the people. Last May 17, 2018, the College of Social Science and Philosophy (CSSP), with the help of NSTP College Coordinator Leander Marquez, conducted a graduation ceremony for its new NSTP graduates at the Palma Hall lobby. 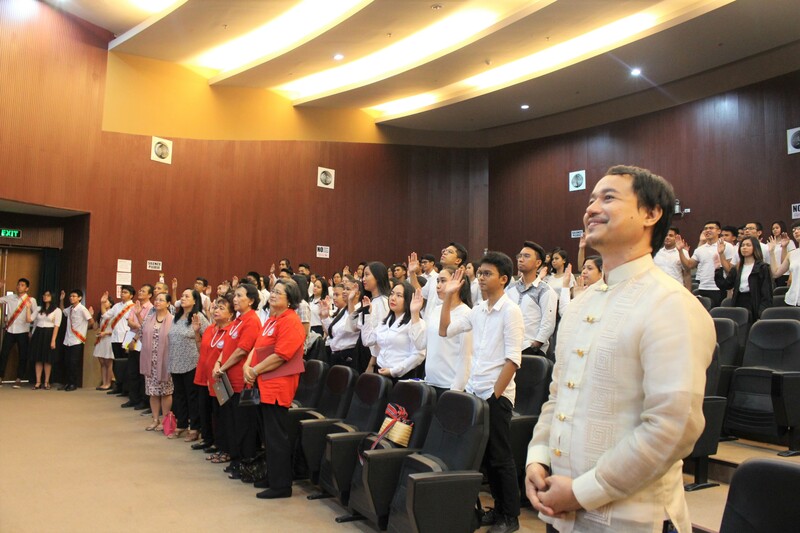 Around 130 students attended the ceremony to swear oath and be inducted to the NSRC. 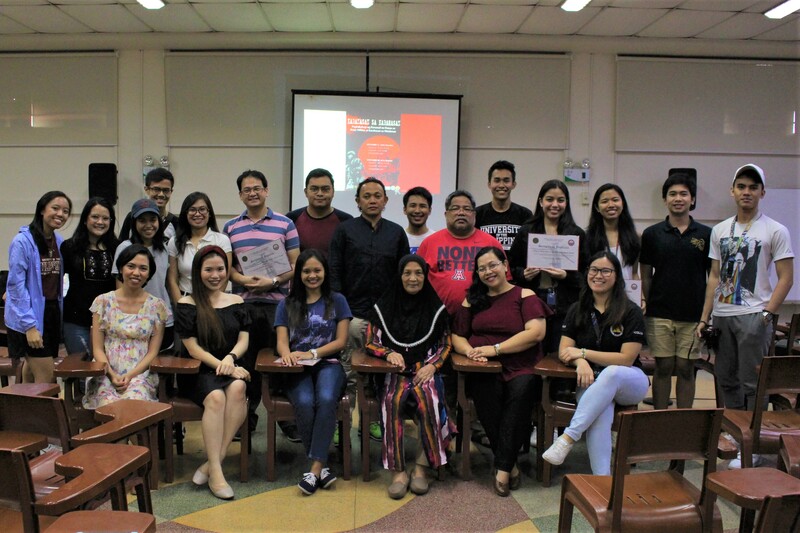 Notable speakers include CSSP Dean Maria Bernadette Abrera who gave the opening remarks, and Mr. Arman Ali Ghodsinia of the Children of Mindanao who gave an inspirational speech to the inductees. Director Macapinlac also graced the occasion and delivered the closing remarks. One of the highlights of the program was the induction of the CSSP NSRC Council from the graduating class whose primary goal is to lead, organize and oversee NSRC activities in the college. The School of Statistics held a graduation ceremony organized by its NSTP College Coordinator Sabrina Romasoc for its 20 NSTP graduates last May 18, 2018 at the new UP School of Statistics building. The College of Education held a graduation ceremony for its NSTP graduates last May 21, 2018 at the Benitez Theater. 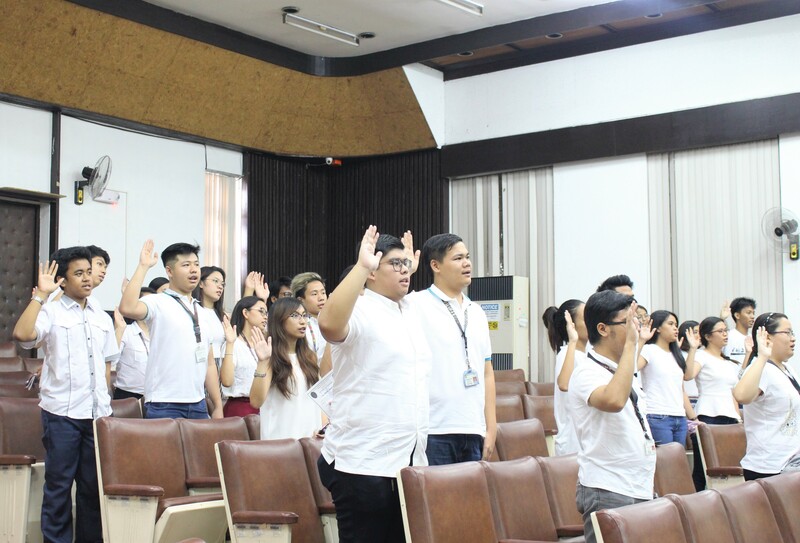 A total of 95 students including those who graduated from the previous semester took their oaths as new NSRC members. Messages were delivered by College of Education Dean, Dr. Marie Therese Bustos, NSTP Diliman Director Macapinlac and Former Deputy Director for NSRC Prof. Josefina C. Santos. The program which was organized by NSTP College Coordinator Maria Grace Reoperez started at 4 pm and ended at 6 pm. 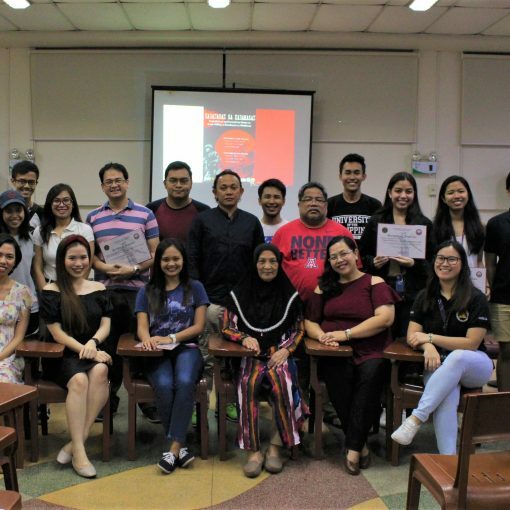 On May 25, 2018, the School of Economics, College of Architecture and School of Library and Information Studies organized a joint graduation program and oath-taking ceremony for its NSTP graduates at the UP School of Economics Auditorium. Director Macapinlac gave the opening remarks while Vice President for Public Affairs, Dr. Jose Dalisay, Jr., served as the key speaker for the program which took place from 10 am to 1 pm. 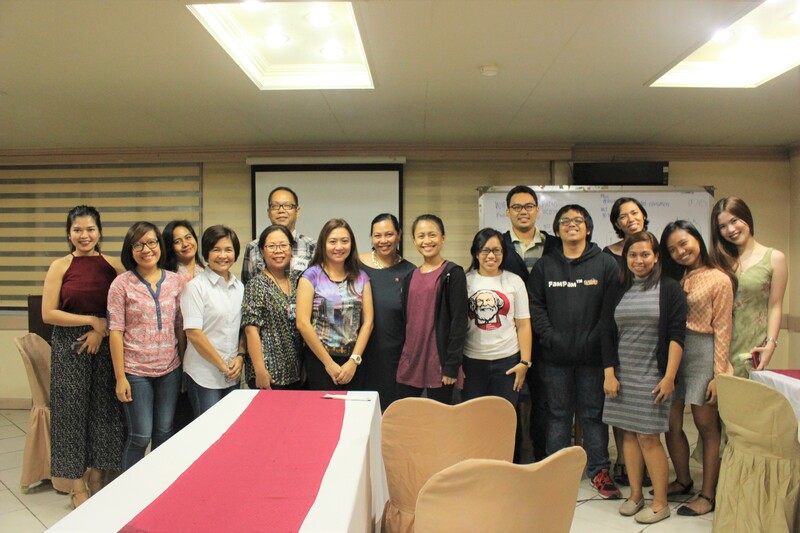 The program was organized by NSTP College Coordinators, namely: Ms. Rosemarie San Pascual, Ms. Olivia Sicam, and Ms. Yhna Santos. A graduation program and oath-taking ceremony for the College of Home Economics’ new NSTP graduates took place at Gusali 2, College of Home Economics on May 25, 2018. 18 students graduated and took their oaths as NSRC members. NSTP College Coordinator Ms. Katrina Armida Paraiso-Ballester organized the program. 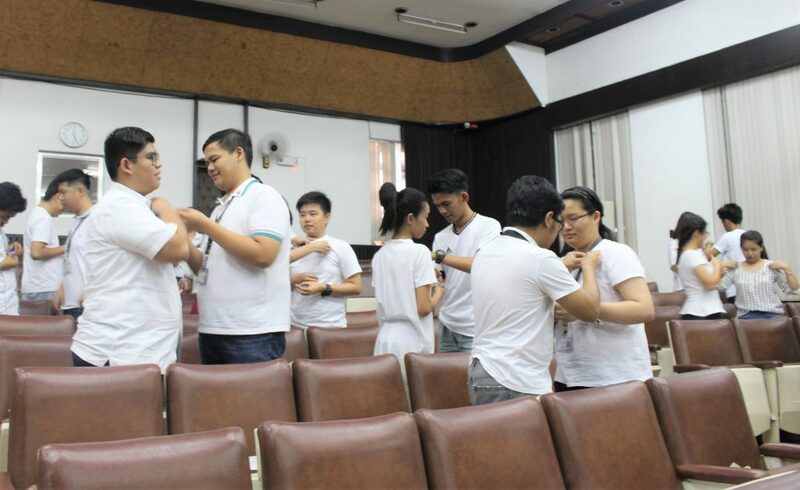 The College of Human Kinetics, together with the College of Music, organized a graduation program for the graduates of its NSTP program. Altogether around 193 students were newly minted as NSRC members upon oath taking. The program was held at the Institute of Biology Auditorium from 10 am to 1 pm. Mr. Ian Lawrence Logan, the NSTP College Coordinator for CHK, and Prof. Sherla Najera, the NSTP College Coordinator for CMu was in-charge of the joint graduation program. Around 67 students from the College of Fine Arts’ (CFA) NSTP Program attended their graduation and oath taking ceremony at the Bagong Gusali, Kolehiyo ng Sining Biswal on May 30, 2018, from 8:30 am to 11:30 am. UP Executive Vice President Dr. Teodoro Herbosa was key speaker for the program. Ms. Mabyn Rosales, the NSTP College Coordinator for CFA, organized the program. 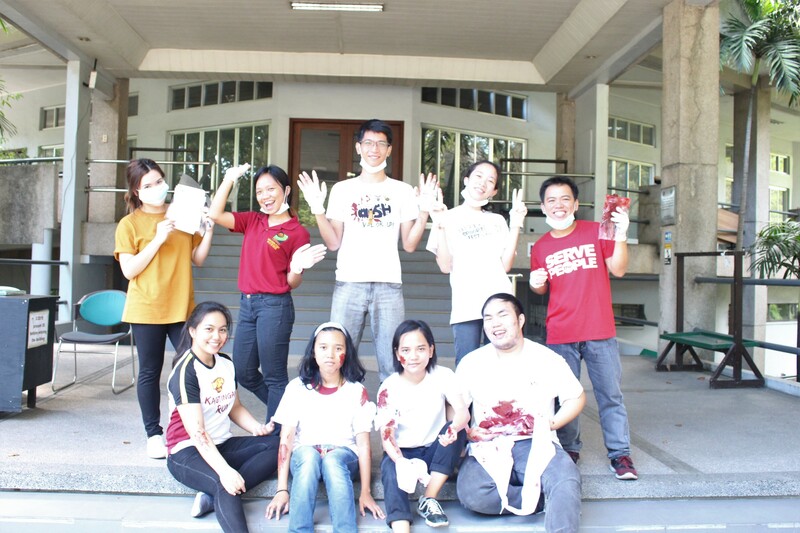 The UP Department of Military Science and Tactics (DMST), with the help of NSTP – DMST Coordinator Atty. John Baroña, held their commencement ceremony for its 51 NSTP graduates under the ROTC component at the UP DMST Complex from 9 am to 12 noon on June 2, 2018.Director Macapinlac also graced the occasion and delivered the openingremarks. Under the National Service Training Program Act of 2001 (Republic Act 9163), the NSTP aims to enhance civic consciousness and defense preparedness in the youth by developing the ethics of service and patriotism while undergoing training in any of its three program components: Reserve Officers Training Corps (ROTC); Civic Welfare Training Services (CWTS); and, Literacy Training Services (LTS). Graduates of the non-ROTC components of the NSTP shall belong to the National Service Reserve Corps (NSRC) and could be tapped by the State for literacy and civic welfare activities, especially in times of calamities while graduates of the ROTC program shall form part of the Citizen Armed Force.